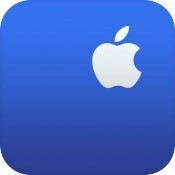 Apple today updated its Apple Support app for iOS devices to add new features that include easier access to AppleCare+ and a better way to reset your Apple ID password. According to the update's release notes, it's easier to add AppleCare+ coverage to your eligible devices using the Apple Support app. AppleCare+ provides extra coverage and replacement for accidental damage on iOS, Apple Watch, Mac, HomePod, and more. Today's update also introduces a streamlined process for resetting your Apple ID password quickly and securely, and it offers up a number of unspecified bug and performance enhancements.